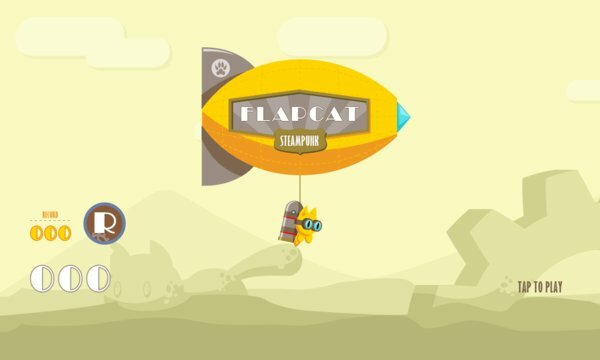 FlapCat is a new game based on the blockbuster flap games. Help the cat FlapCat to go through challenges that are super difficult. The game has steampunk setting, vibrant colors and counting score. 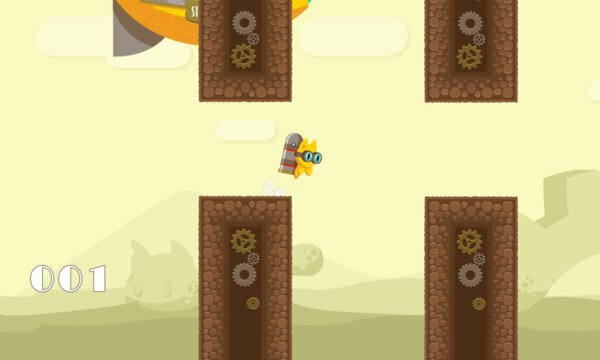 FlapCat is a fun game with excellent graphics, steampunk style, very difficult and an infinite stage. Guarantee hours of fun! If you like Flappy Bird, FlappyFish,Temple Run, Subway surfer, Minion Rush, Mega Jump, Strike Back, Bejeweled, Fruit Ninja, Angry Birds, Cut the Rope, Tiny Wings, Gravity Guy, Fragger, Clash of Clans, Hay Day, Candy Crush, Star Wars, Pinball Star, you shouldn’t miss this challenging and addictive game! Please take the time to leave a review and give us feedback. We will improve and extend this game as long as there is an audience. Thanks for the opportunity.